Fall is here and the leaves are turning all their rich reds, golds, and browns. 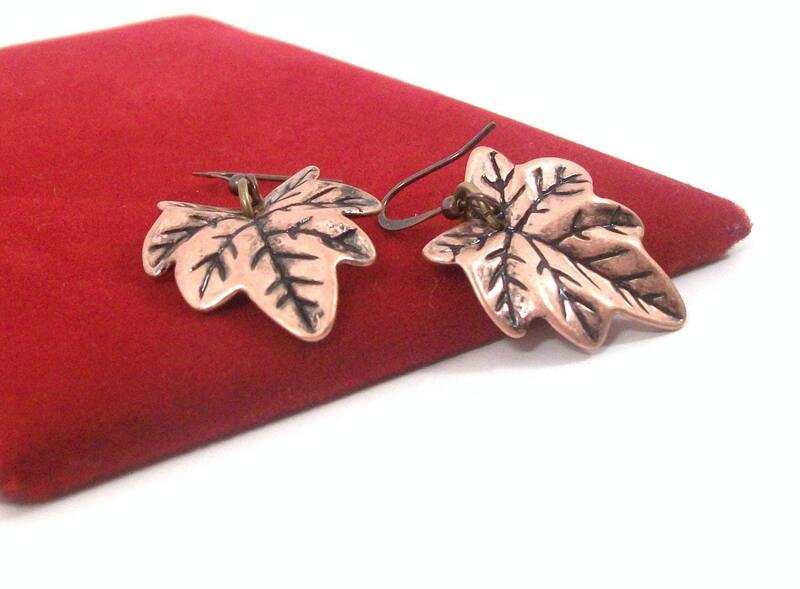 These one and a half inch copper leaves emulate those fiery colors in a beautiful, detailed copper coated acrylic. Lightweight and comfortable on dark copper (lead free!) ear wires they're the perfect accessory for any occasion!